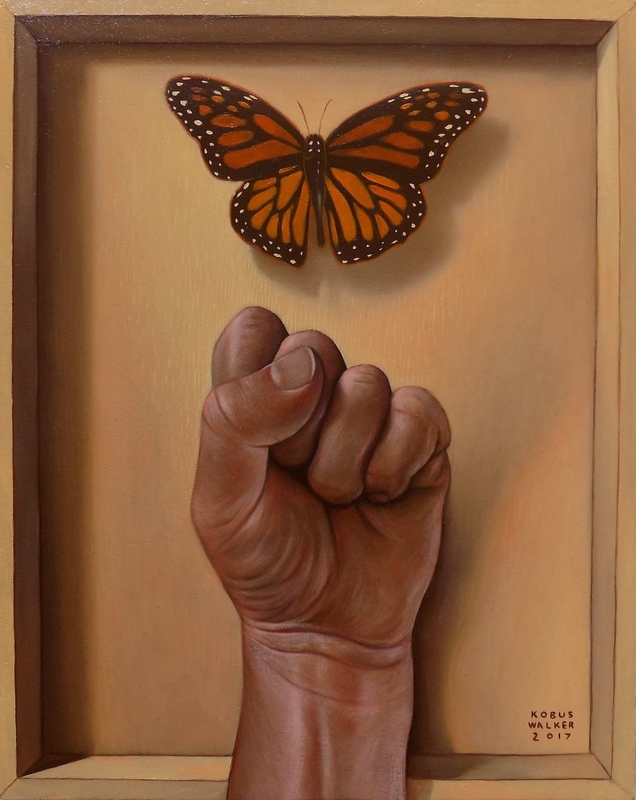 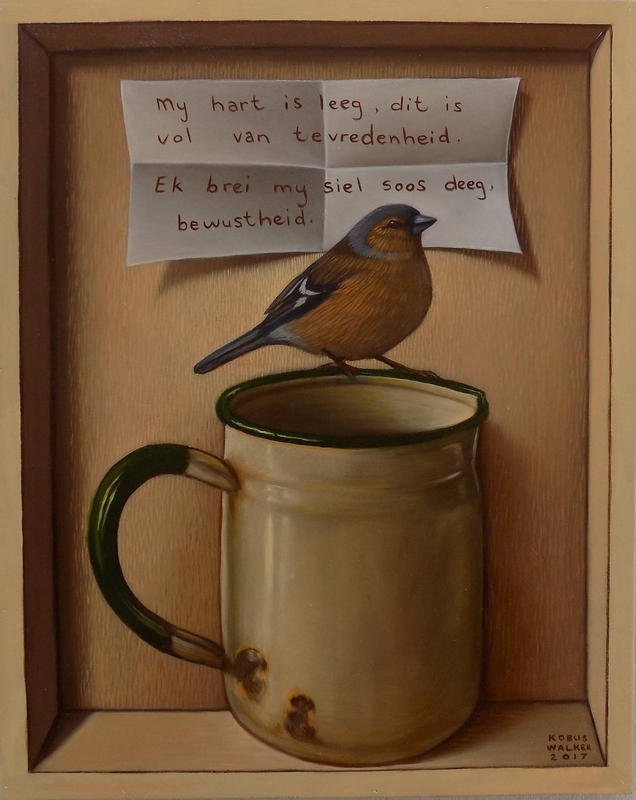 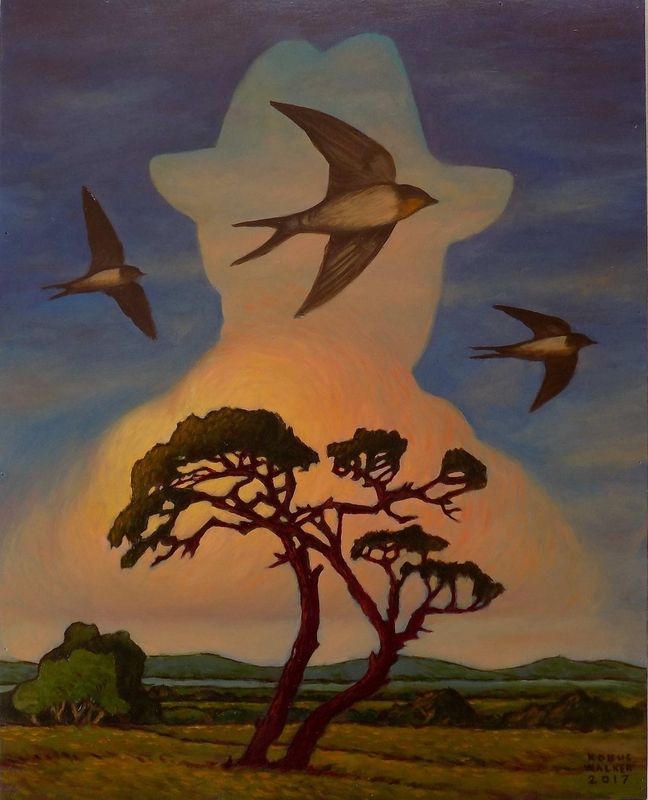 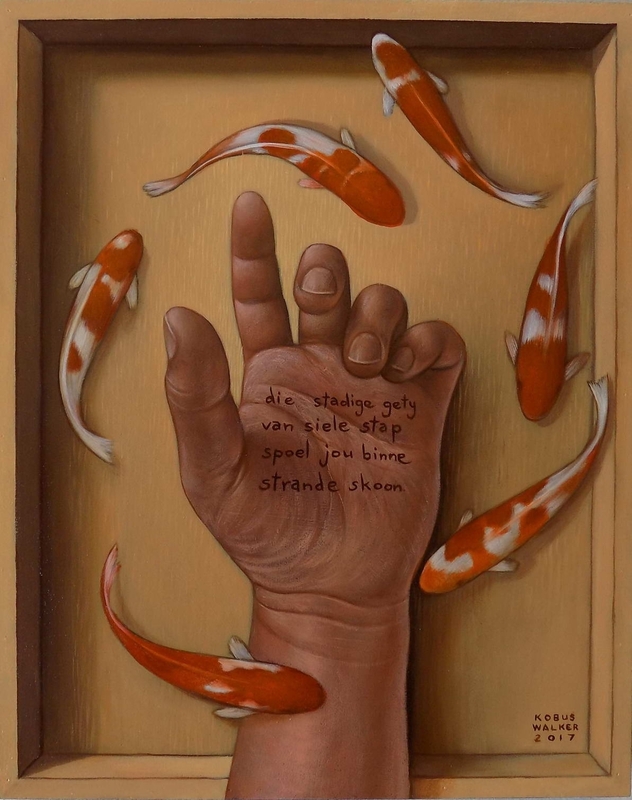 Kobus Walker, a Pretoria based artist, was born in Rustenburg in 1971. 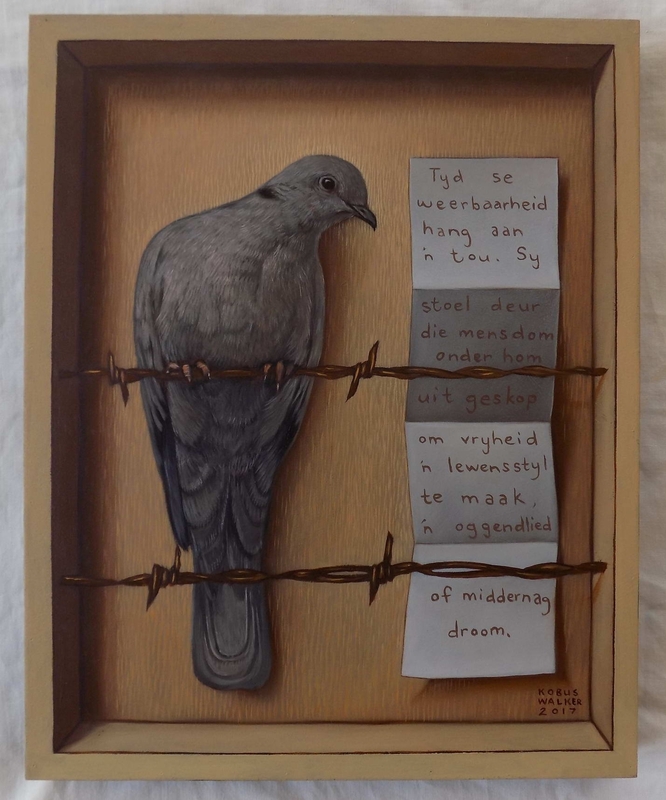 After his studies at the Pretoria Technikon in 1992 he worked with fellow artist, friend and mentor Tivan van Dyk for almost 10 years. 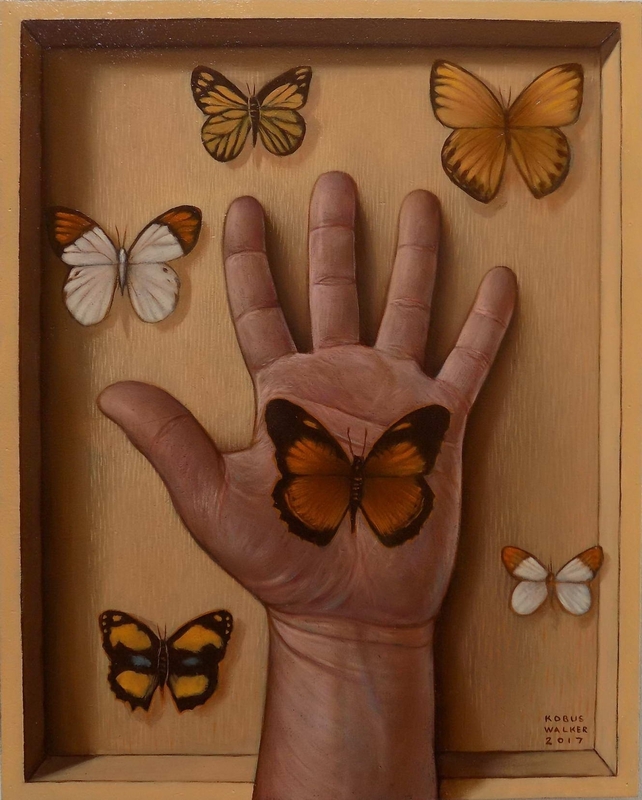 He started working as a full-time artist in 2007 and has taken part in different group exhibitions over the past years. 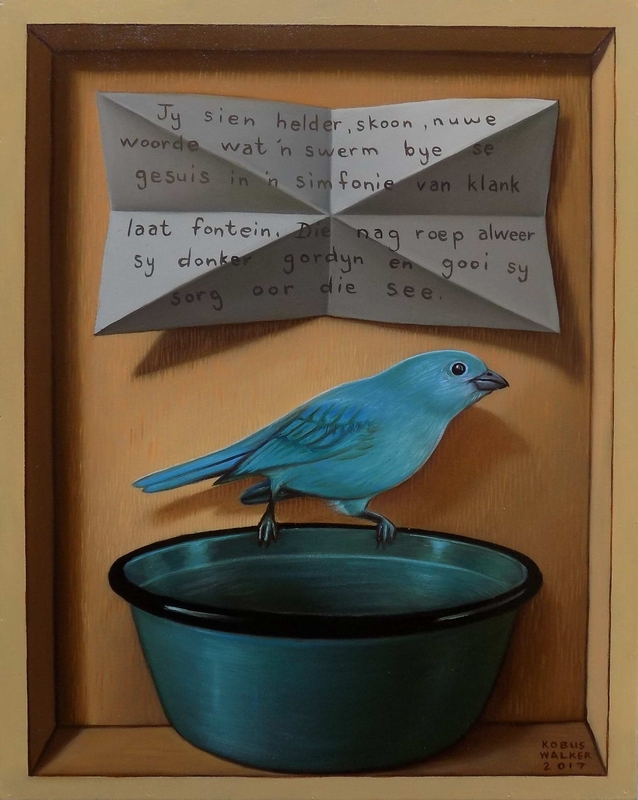 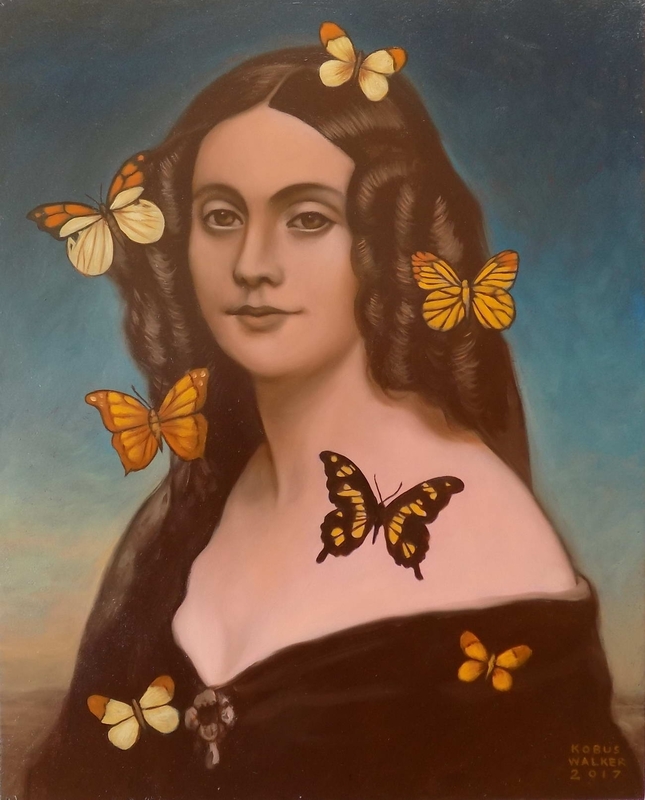 Kobus Walker's art is mostly theme based. 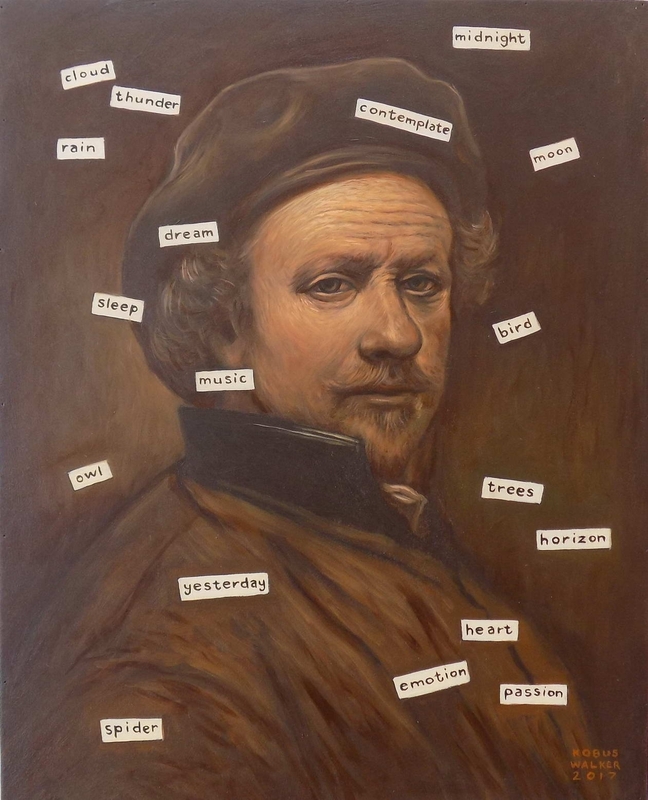 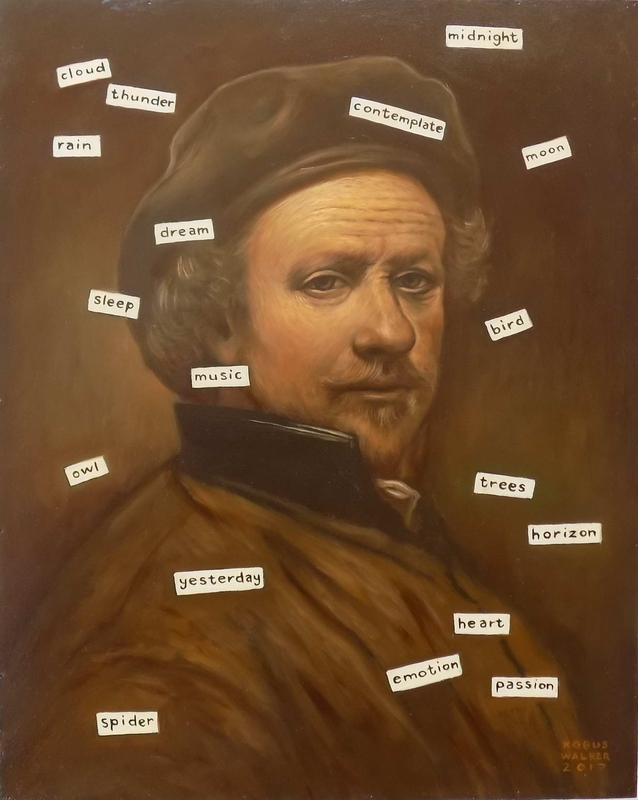 Pickled Poetry was inspired by two aspects: firstly this quote by Leonardo da Vinci: Painting is poetry that is seen but not heard and poetry is painting that is heard but not seen. 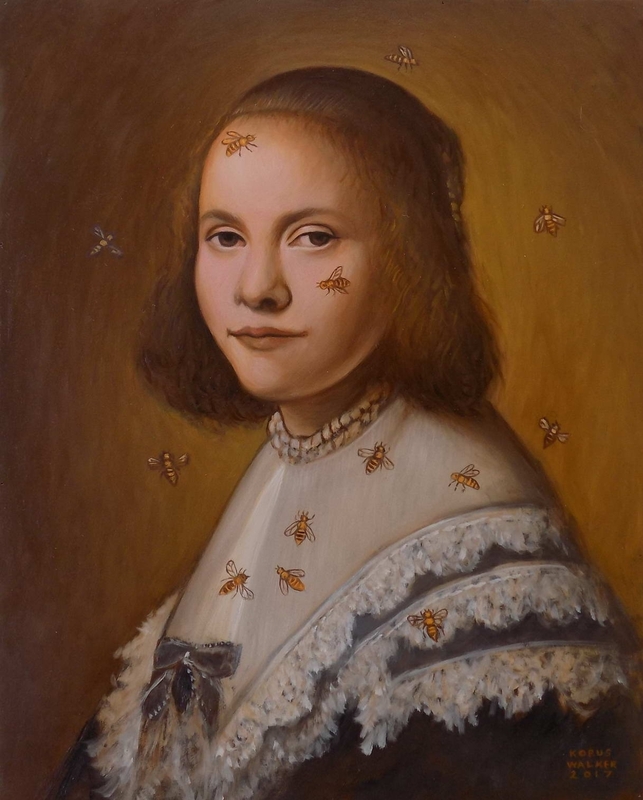 Secondly, by the idea of preservation. 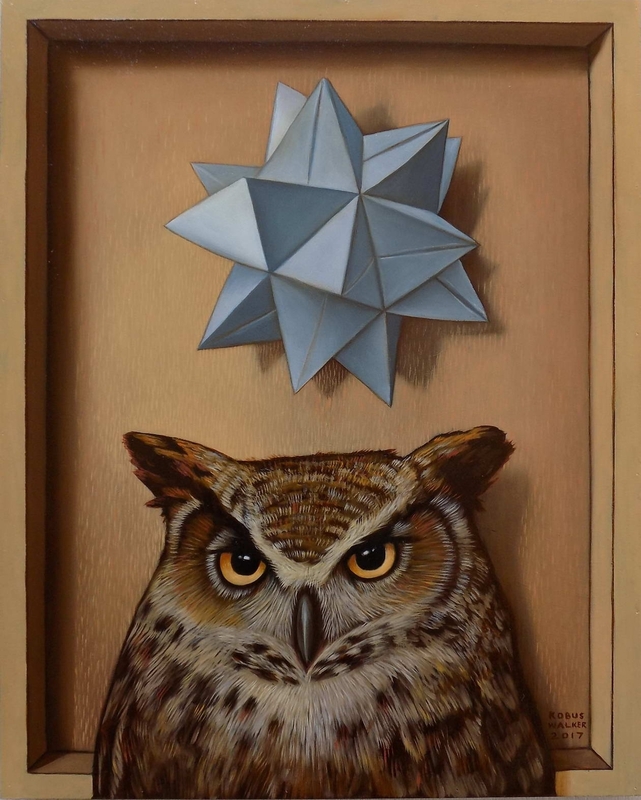 The combination of these two aspects creates the platform for this body of work. 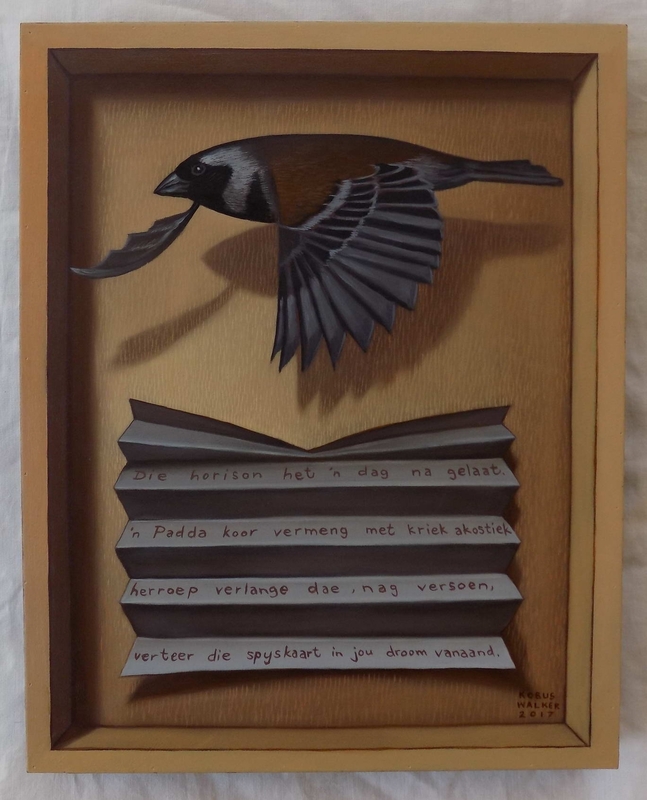 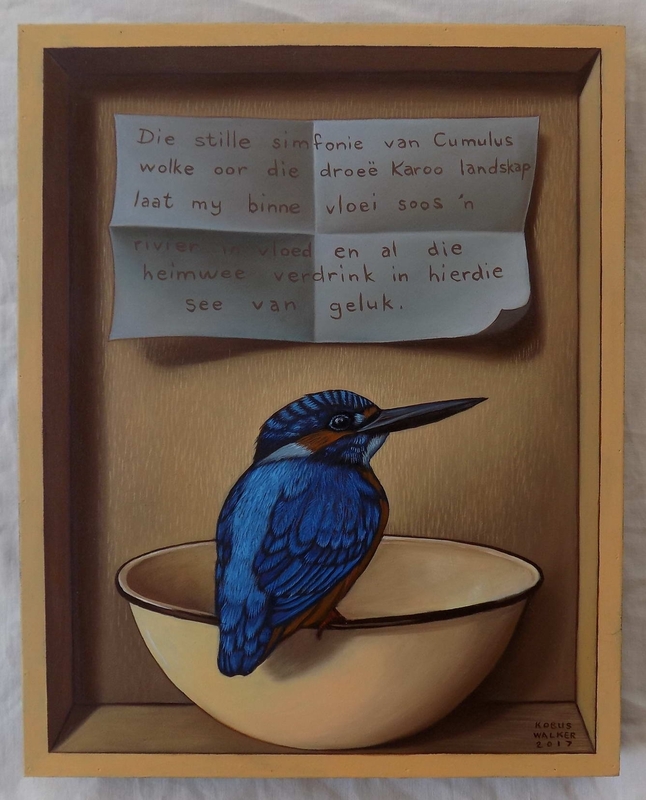 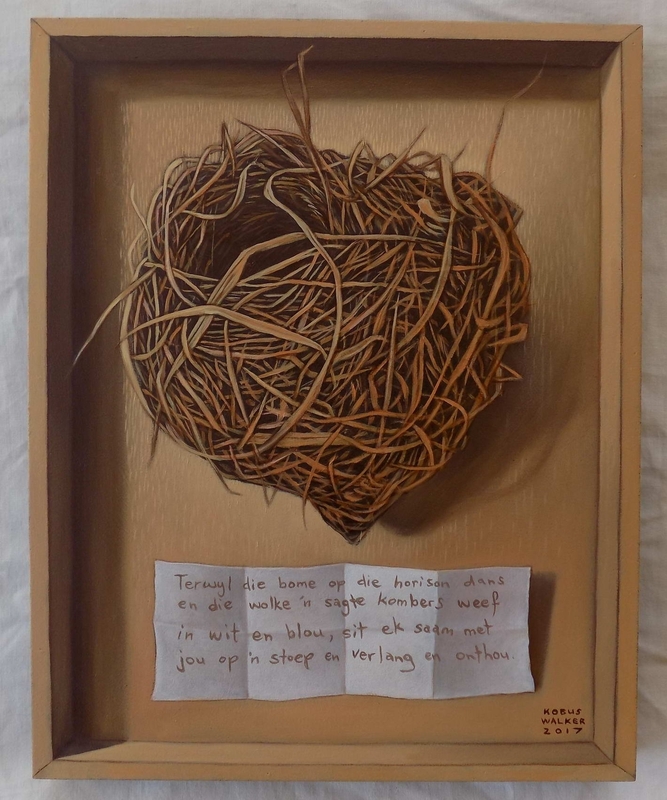 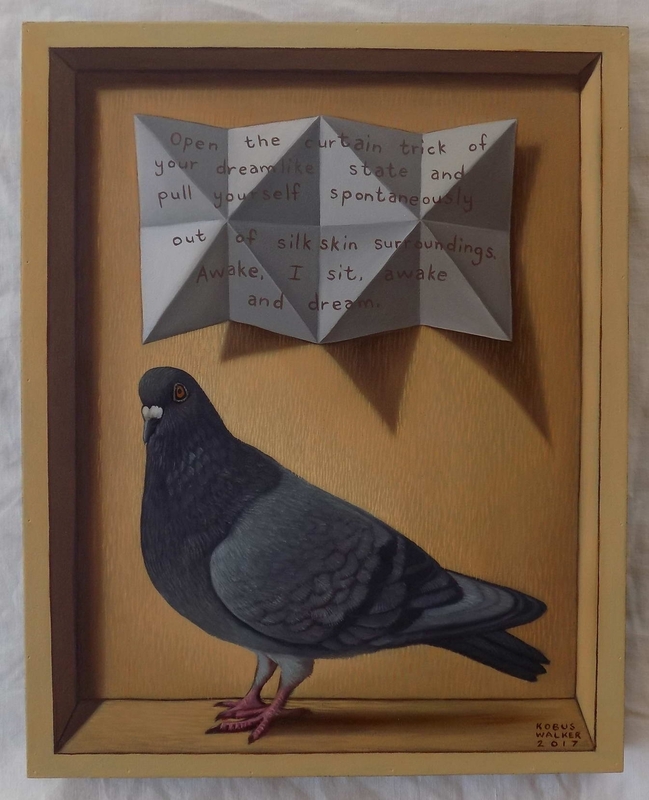 Painted wooden boxes become the symbolic preservation for his poems, combined with objects and birds. 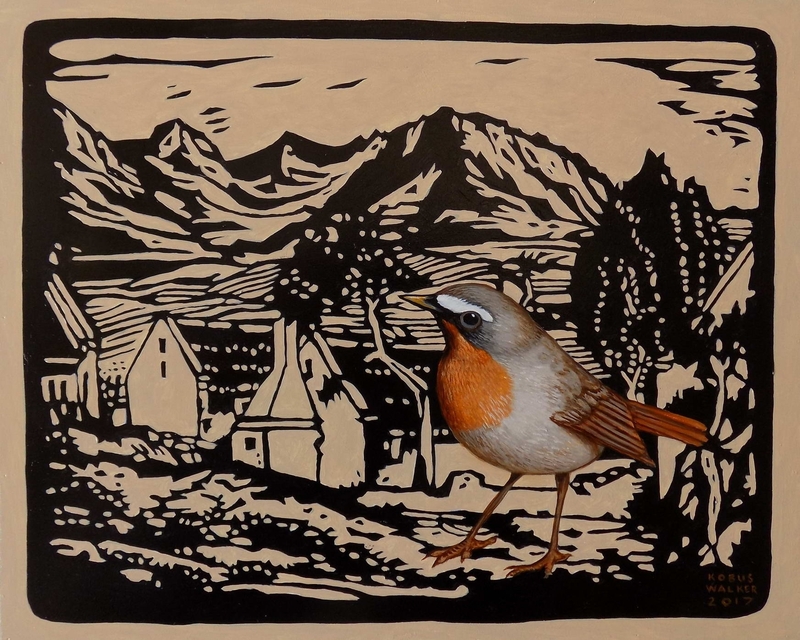 Birds become a representation of freedom but also add another dimension, namely sound. 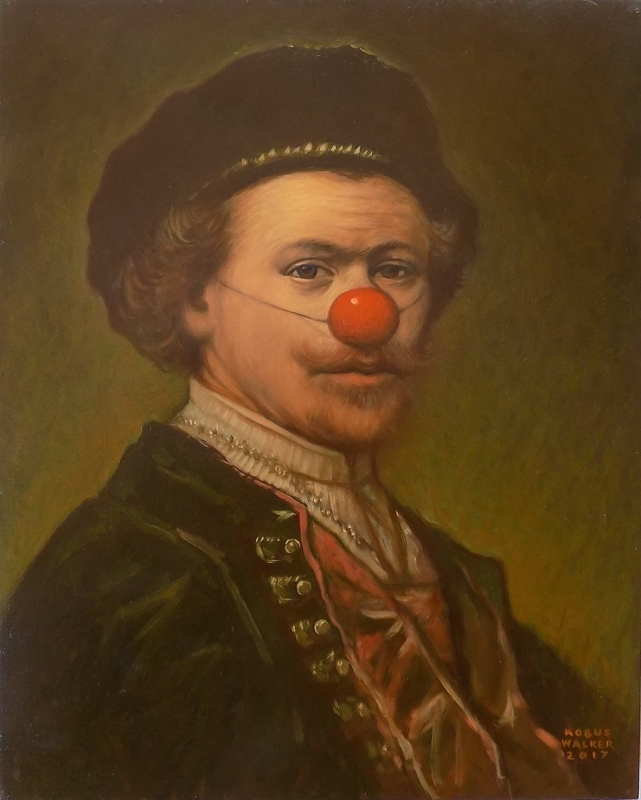 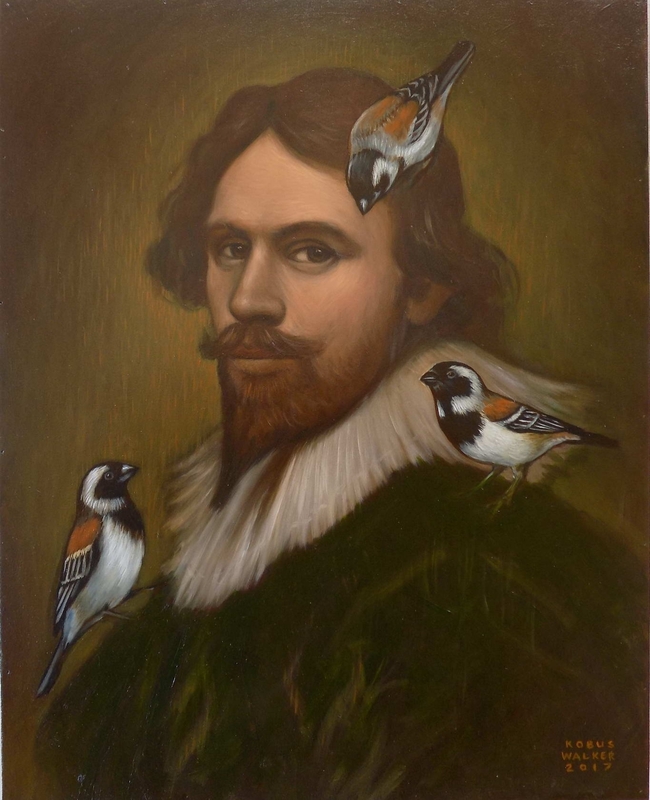 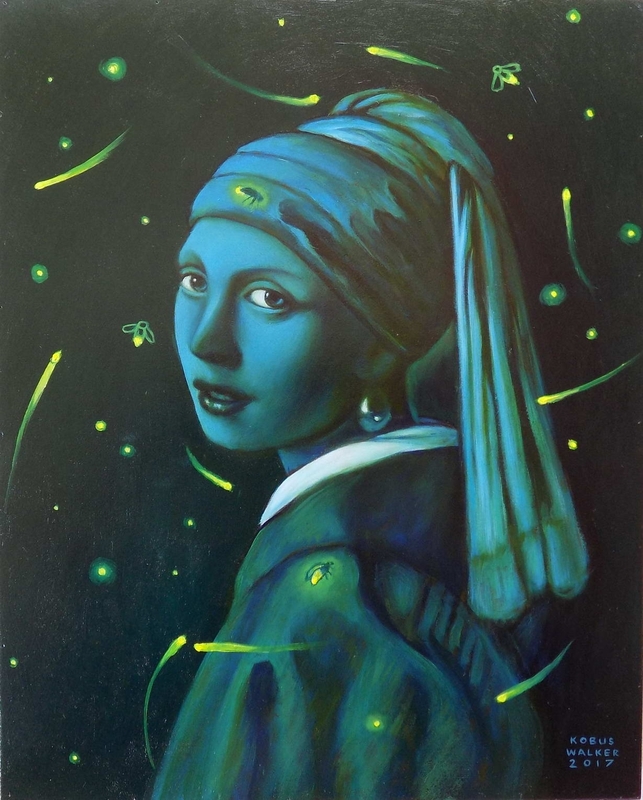 He takes inspiration from the classical painters, like Rembrandt, Vermeer and da Vinci. 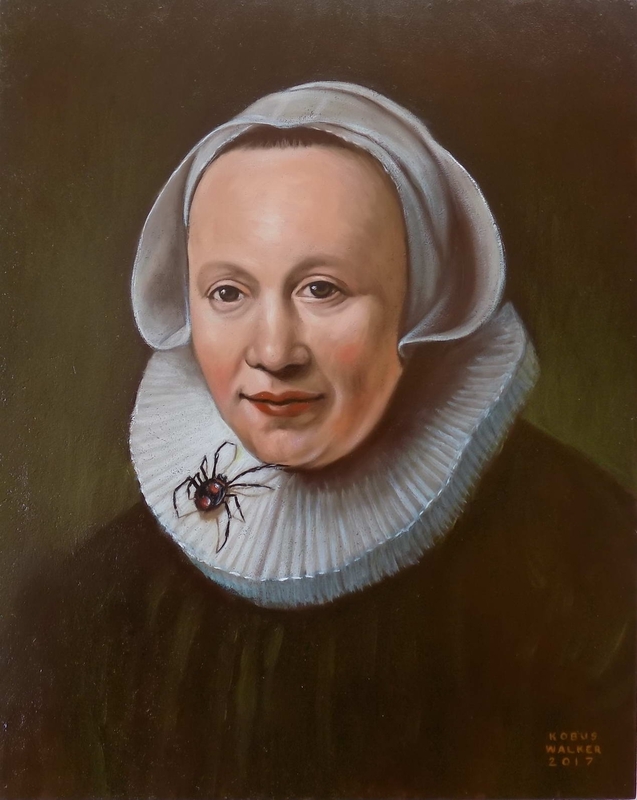 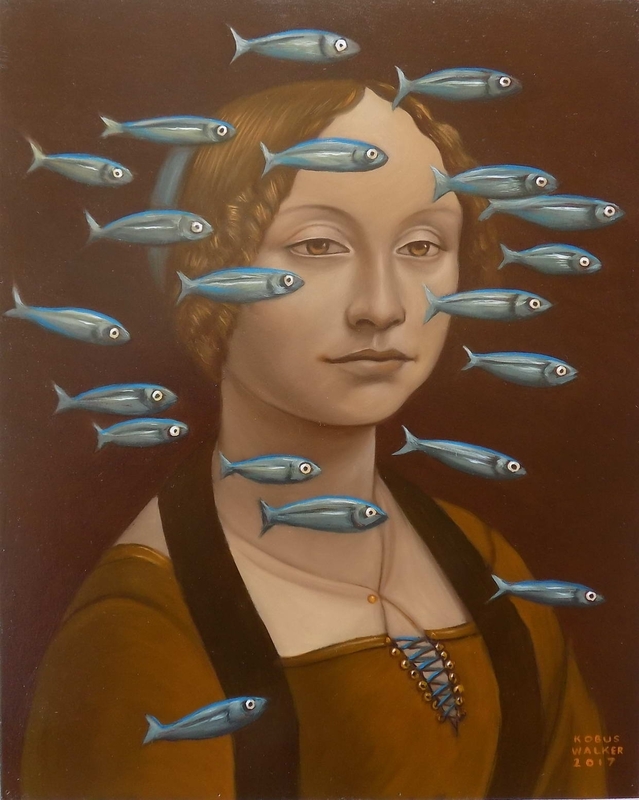 By combining these portraits with contemporary ideas, it creates a new dialogue or narrative. 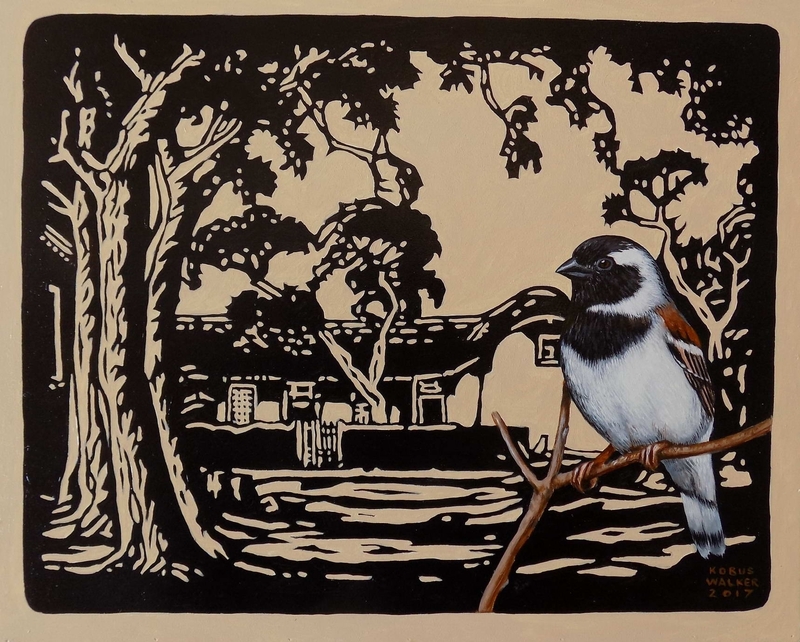 He also takes inspiration from South African painters, like Pierneef's black and white linocuts. 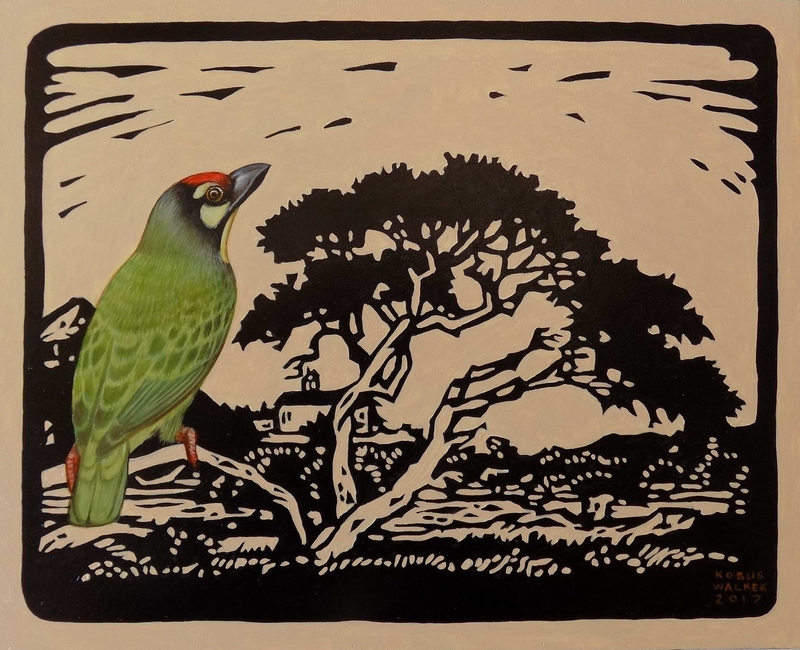 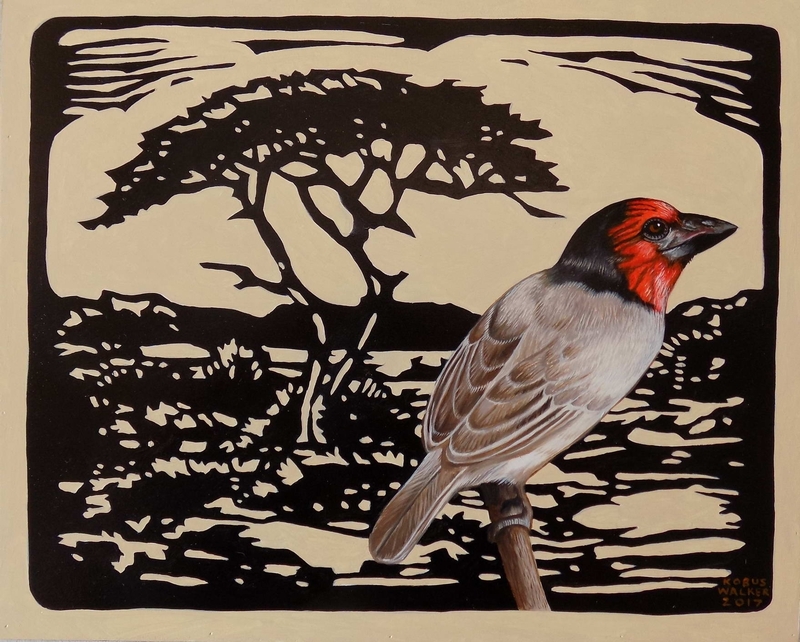 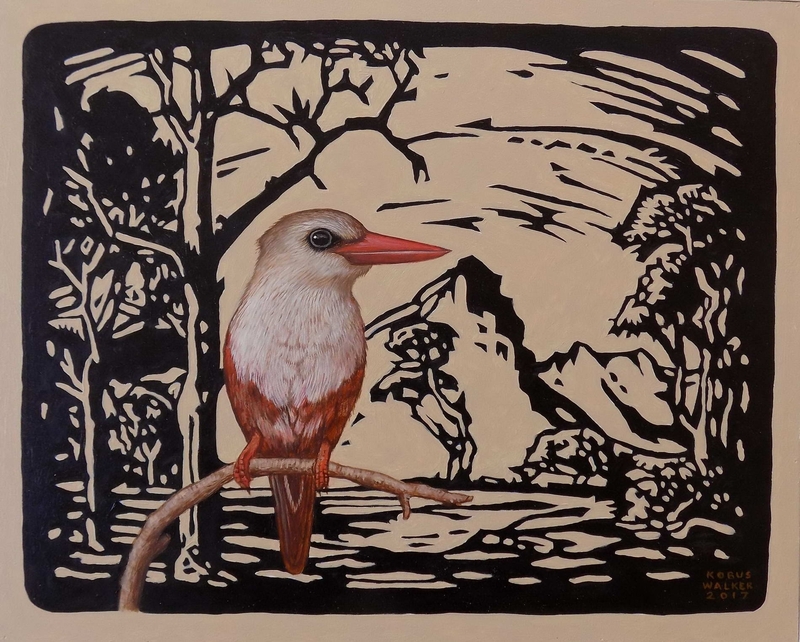 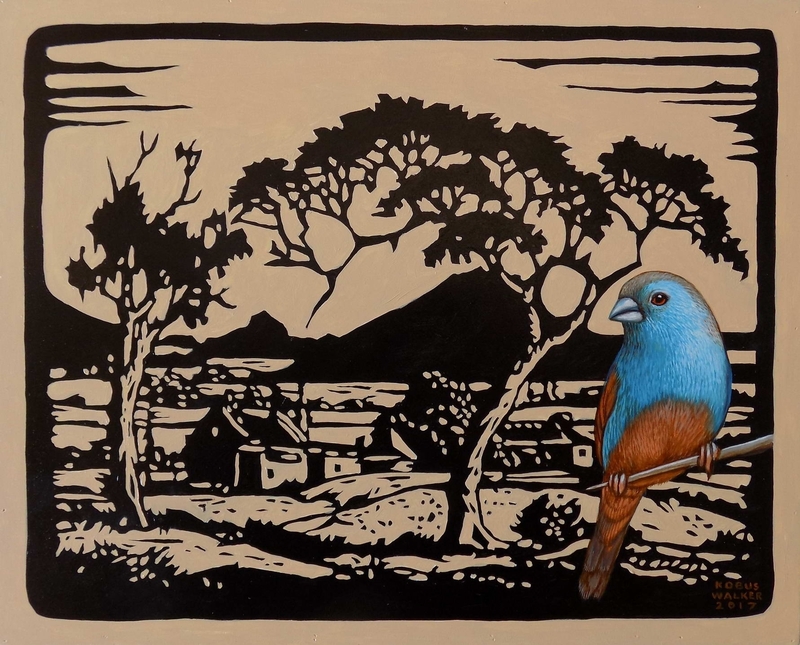 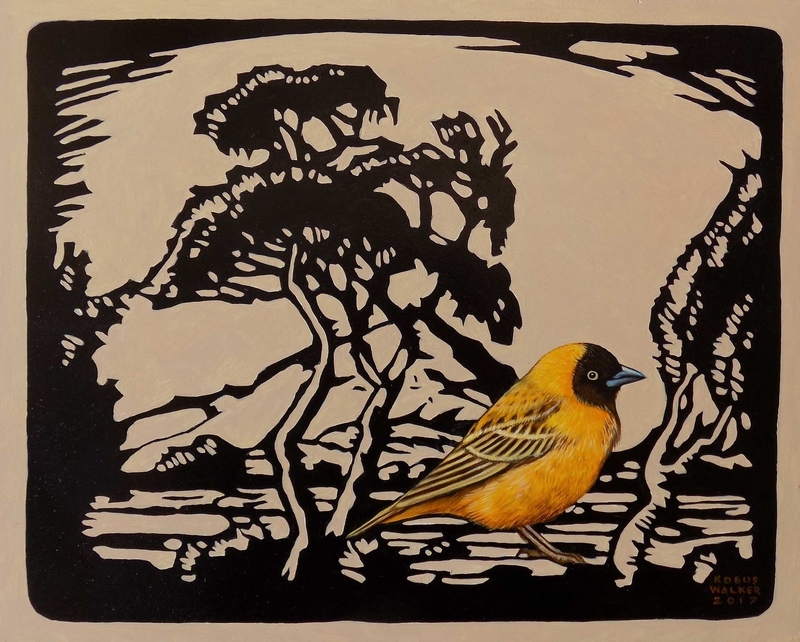 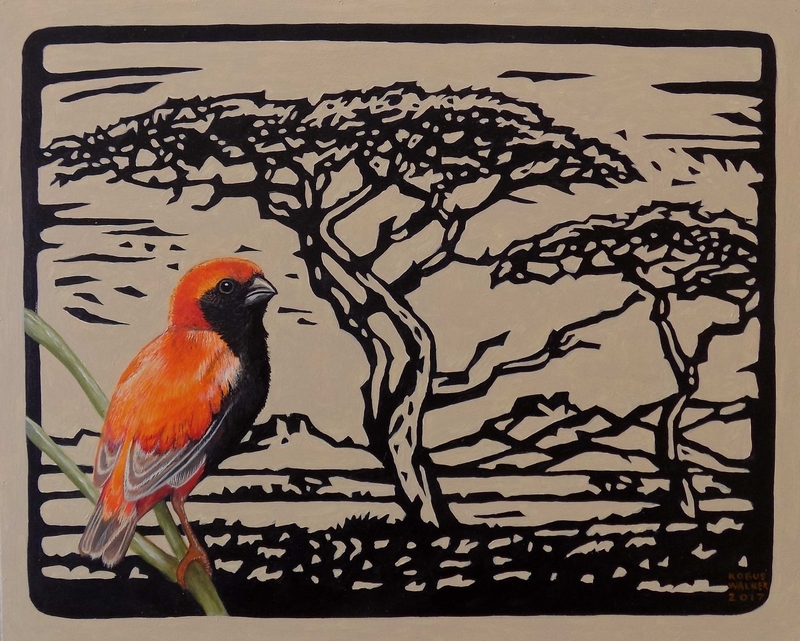 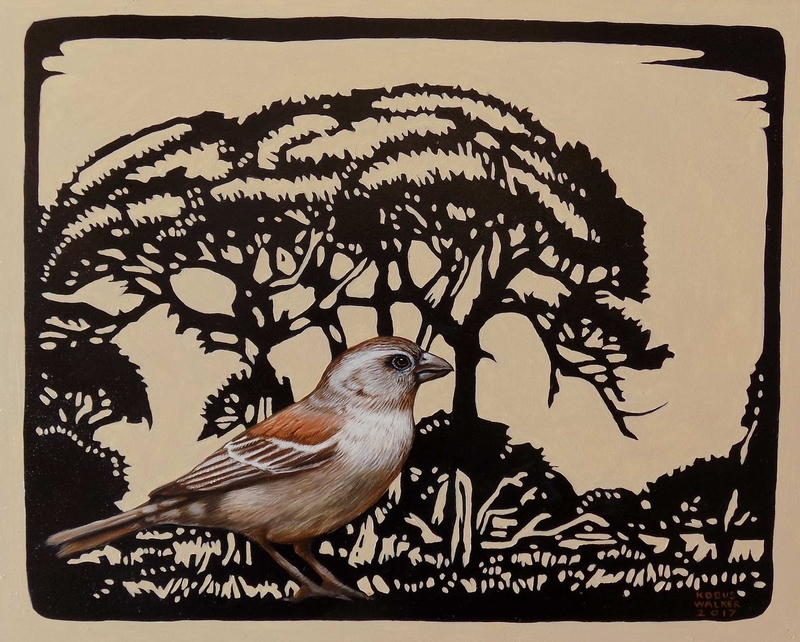 By incorporating South African birds with these wood/ linocuts, it creates a new dialogue with the viewer. 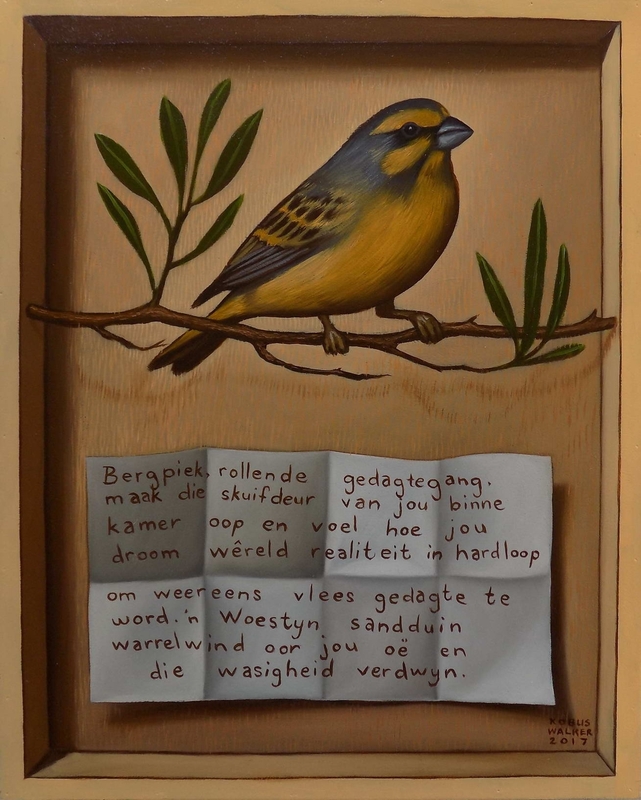 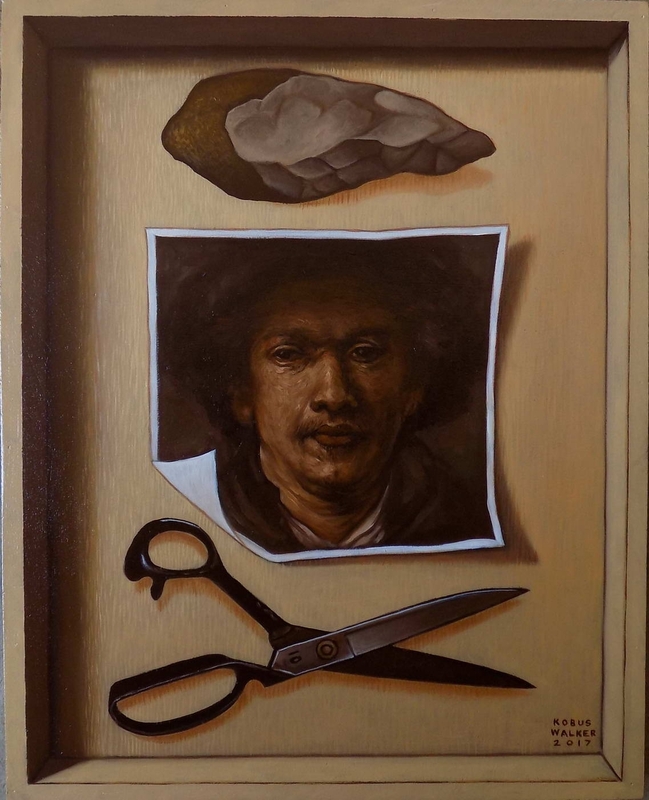 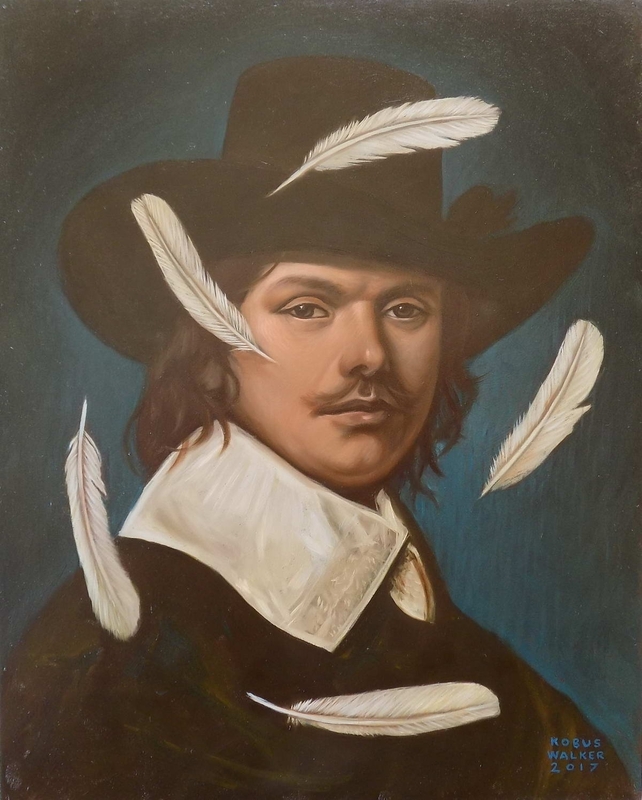 His medium is oil on wood which is applied in thin layers of paint. 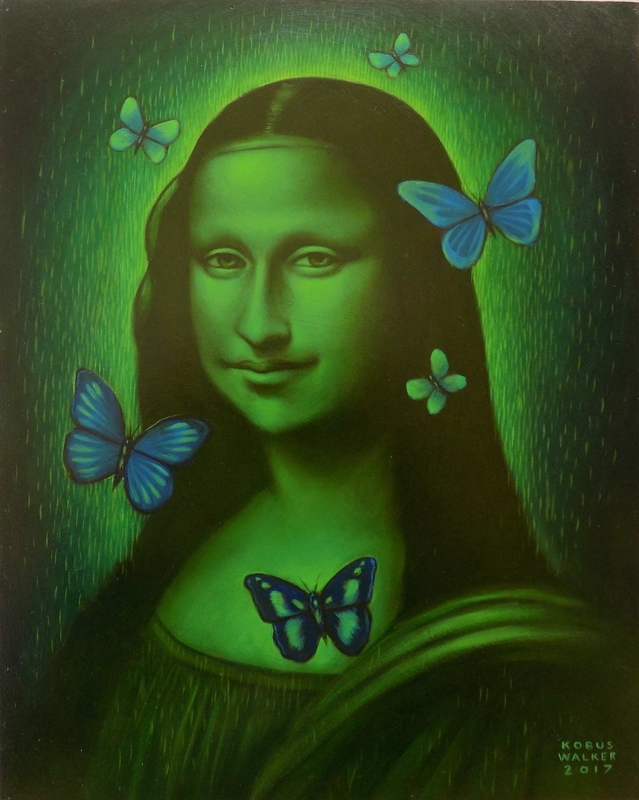 The use of earthly colours and stipple technique shows the influence of Neo-Impressionism, where the use of small dashes of paint refers to pointillism.